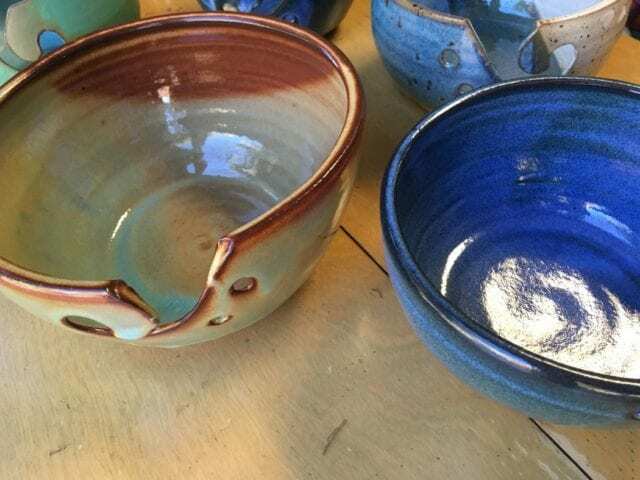 New Late Bloomer yarn bowls. Our friend Frumet brought a brand new batch of ceramic yarn bowls over the weekend. 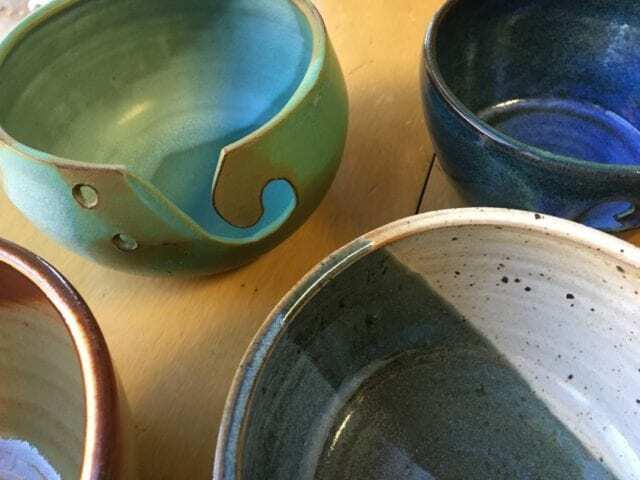 Frumet is a local potter who makes beautiful functional pieces here in the Triangle, and we’ve been stocking her buttons and yarn bowls for a few years now. 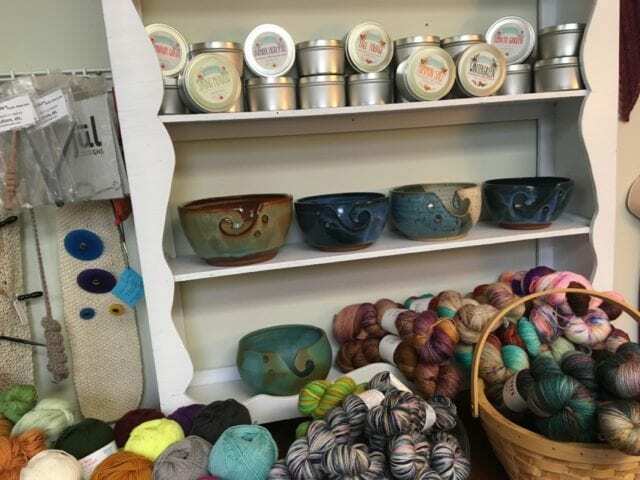 Yarn bowls are designed to hold your ball of yarn as you’re knitting or crocheting from it, keeping it from rolling around on the floor or getting tangled with notions in your bag. Just place the ball in the bowl and thread your working yarn through the spiral cut-out in the side. A beautiful yarn bowl makes an exquisite gift for a knitter or crocheter, so keep it in mind for the upcoming holiday season. 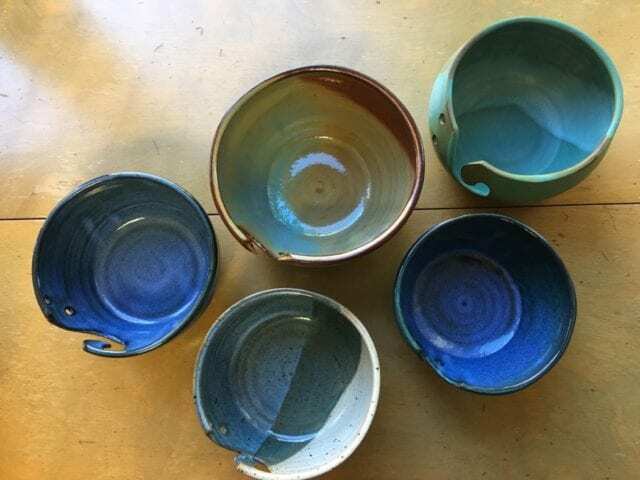 Whether it’s a gift for you or someone else, come by soon to snag one of these special bowls; we have just five in stock, though Frumet will be cooking up more in her kiln soon.